The fact that you don’t see what’s inside the HVAC air ducts doesn’t mean that it will not affect you. While most people have high resistance to common ones like household dust, this is not the case with their most dangerous counterparts. Find out what they are, what makes them so scary and how to eliminate them with air duct cleaning and other effective measures. The droppings of rodents, which are among the pests most frequently infesting HVAC systems, often contain bacteria and viruses that can cause serious diseases in humans. While the air filter may capture many of these microorganisms, some can still get circulated around the house and get into contact with people and household pets. There are several steps you must take in order to avoid disease, in case of rodent infestations of the HVAC ducts. Getting rid of the pests should be your top priority. After they are gone, the air ducts should be properly cleaned and sanitized. Air filter replacement is also important. If the pests have caused any damage to the ducts, timely repair is essential. Sometimes, mold which grows inside the ductwork is extremely difficult to notice without full inspection. At the same time, the air transferred by the ducts can easily pick up spores and circulate them around the house. In most people, the spores cause irritation, sneezing and coughing. Those who are allergic to mold or suffer from asthma can have much worse symptoms. In this situation, air duct sanitizing is as important as mold removal since it will kill the spores. The source of contamination should be found and eliminated quickly. Usually, air duct repair involving the sealing of leaks and insulating sections of the ductwork that are in much colder sections of the house will help to keep mold at bay. It’s true that pollen is pretty much everywhere in springtime, but if it gets inside the HVAC ducts it will pose a threat to the people in the house for much longer and possible all year round. As you know, this is one of the most powerful allergens capable of causing severe allergic reactions, especially in children. 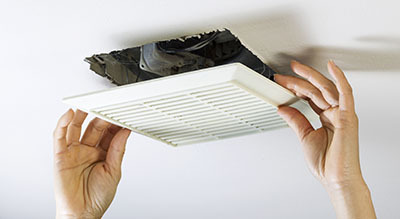 Air duct cleaning and filter replacement should help in dealing with the problem completely. 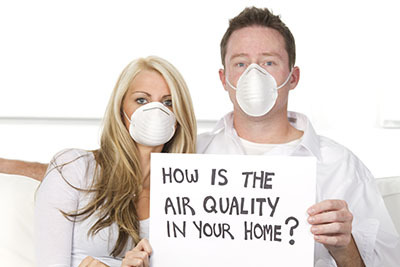 You will benefit from using a filter with a higher efficiency rating to keep the home indoor air quality high.